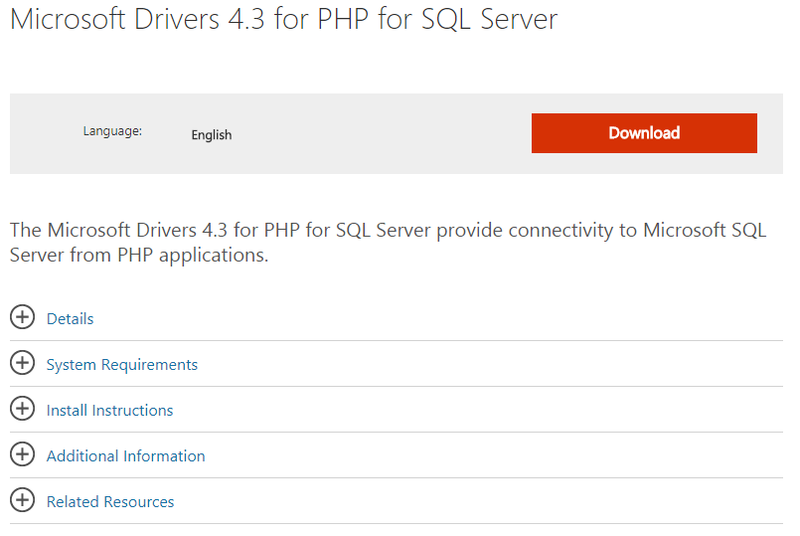 Microsoft Drivers v4.3.0 for PHP for SQL Server released! We are excited to announce the Production Ready release for the Microsoft Drivers v4.3.0 for PHP for SQL Server. The drivers now support Debian Jessie and macOS. The driver enables access to SQL Server, Azure SQL Database, and Azure SQL DW from any PHP application on Linux, Windows, and macOS. Support for transparent connections to AlwaysOn Availability Groups. The driver quickly discovers the current AlwaysOn topology of your server infrastructure and connects to the current active server transparently.